This is old news by now, but I love Turkish street animals (sokak hayvanları) too much to not comment on the controversies surrounding the proposed new animal control bill. Currently, there are very few regulations regarding stray animals in Turkey. The primary option available to local municipalities in dealing with their stray animal populations is to catch, spay/neuter and release. The law forbids the killing or torture of animals, but the vast majority of animal abuse cases go unpunished. Even if an animal abuser does face prosecution, punishment for such an offense only amounts to a misdemeanor fine, akin to property damage. Anecdotal evidence suggests that lacking fear of prosecution, some municipalities have resorted to poisoning street dogs in an effort to reduce their numbers. Protests against the bill were concentrated in Istanbul but broke out in other Turkish cities and towns as well. Protesting Turks and ex-pats living in Turkey alike voiced the opinion that Turkish street animals are well cared for and cherished by the residents of the neighborhoods which they haunt. From my observations of the life of Turkish street dogs and cats, I must politely disagree with the rosy picture painted by Finkel and others. It is true that is very common to see residents feeding street animals, especially cats. However, accounts of their overall health and well-being are greatly exaggerated. The vast majority are noticeably underweight and most have some sort of obvious health problem. Skin conditions dominate but it is not uncommon to see an an animal with an untreated injury or other medical condition. The quotidian nature of these sights did not make it any easier for me to pass a suffering animal and know there was very little I could do for it. 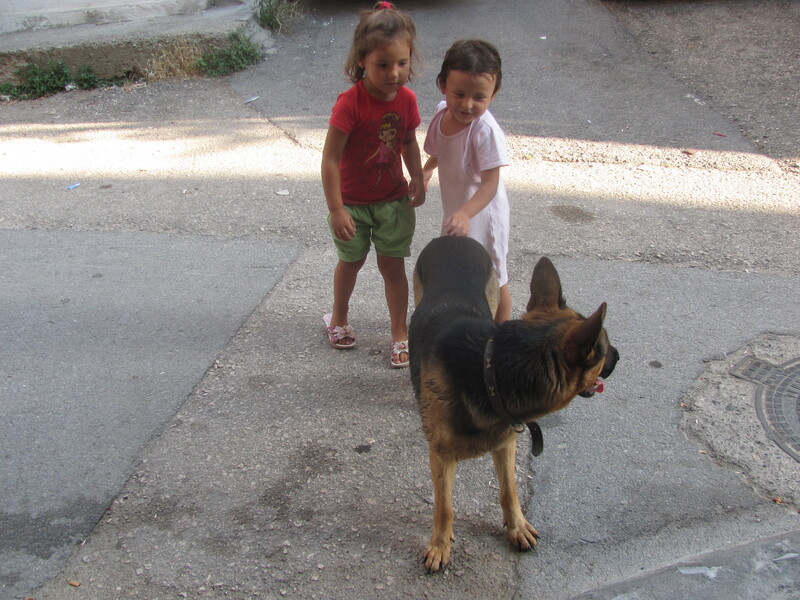 Nor are Turkish street animals universally beloved. The majority of non-secular Turks I have met are afraid of dogs. This fear does not just extend to semi-feral street dogs, but to the tamest of leashed Golden Retrievers. I once witness a grown man jump a foot straight in the air after he was startled by a puppy. My experiences lead me to suspect that there is a silent majority of Turks who would be more than happy to see their city rid of street dogs. Bursa, the fourth largest city in Turkey, successfully implemented a system of animal sanctuaries analogous to the proposed parks. There are still street animals in Bursa but far fewer per capita than in other cities. If- and that’s a big if- a system like the one currently in place in Bursa could be implemented, Turkey’s street animals would be much better off. That said, the proposed legislation is still far from perfect. It fails to deal with the underlying problems that create populations of strays such as unregulated breading. Without addressing the root sources of Turkey’s street animal populations there will be no humane solution this centuries-old problem.